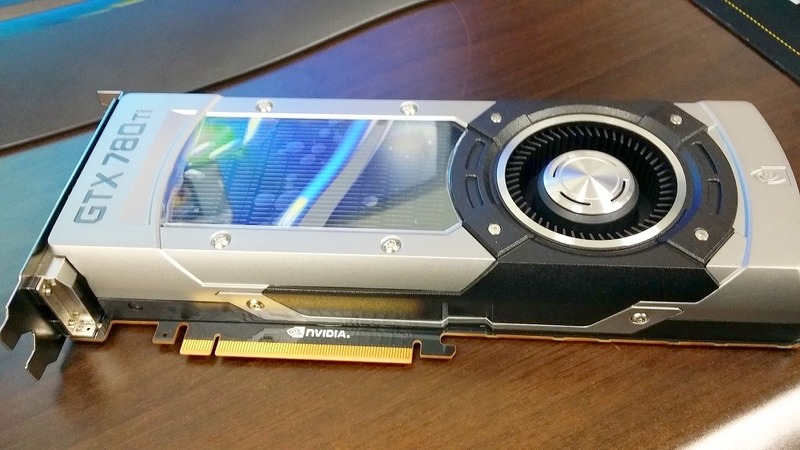 You may remember that we leaked a GPU Z screenshot that showed clock rates of upto 1033 Mhz and then again when the official specs were confirmed we mentioned a probable variant; the GTX 780 Ti Ghz Edition. Well, sources tell us that the very same Ghz Edition will come equipped with a Black Reference Cooler – a unique identifier of sorts. While we don’t have images of the GTX 780 Ti Ghz Edition, we do have leaked images of the GTX 780 Ti. Like we already hinted in our 780 Ti Confirmed Specs post, our reports suggest that the GTX 780 Ti Ghz Edition will come equipped with 6GB worth of memory just like the Titan. Basically the much awaited Titan Ultra is indeed the GTX 780 Ti Ghz Edition. Aesthetically speaking we are also very interested in the Back Reference Cooler design choice. Nvidia has so far almost religiously stuck to professional looking silver look and we can’t wait to see how they pull Black off. 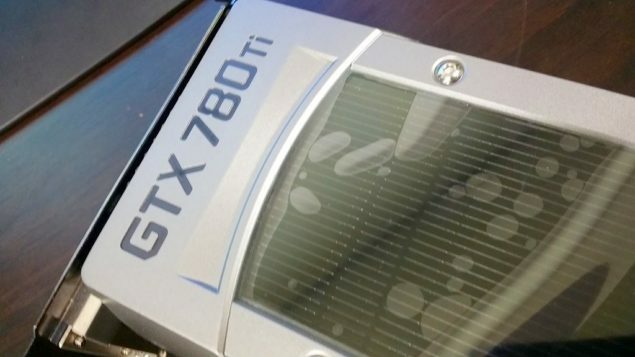 Our friends over at Videocardz are claiming that the GTX 780 Ti Ghz Edition will have ‘unlimited’ TDP and will have a 12 GB Variant. Once again we can neither confirm nor deny that since our sources did not mention the same. We are not exactly sure what a no TDP Limit card would mean. Rather like the Uber Mode in the R9 290X most probably where given certain conditions the card would increase its clock rate automatically.